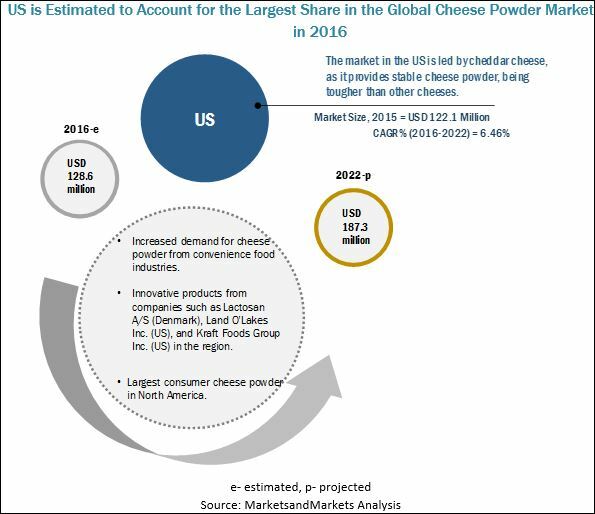 [152 Pages Report] The cheese powder market was valued at USD 406.6 million in 2016 and is projected to grow at a CAGR of 6.8% from 2016, to reach a value of 604.1 million by 2022. 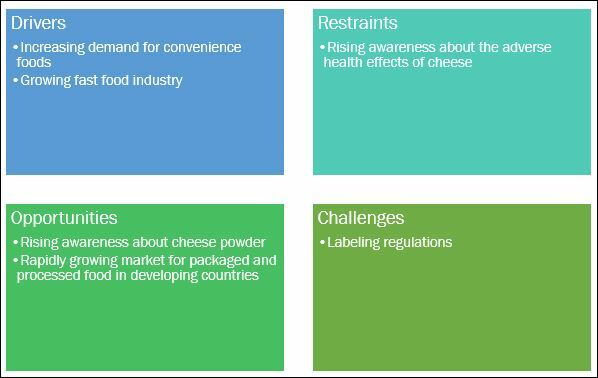 The basic objective of the report is to define, segment, and project the global market size of the cheese powder market on the basis of type, application, and region. It also helps to understand the structure of the cheese powder market by identifying various segments. The other objectives include analyzing the opportunities in the market for the stakeholders, providing the competitive landscape of the market trends, and projecting the size of the cheese powder market and its submarkets, in terms of value (USD Million) and volume (KT). This research study involved the extensive use of secondary sources, which included directories and databases—such as Hoovers, Forbes, Bloomberg Businessweek, and Factiva, to identify and collect information useful for a technical, market-oriented, and commercial study of the cheese powder market. The primary sources include industry experts from the core and related industries and preferred suppliers, dealers, manufacturers, alliances, standards & certification organizations from companies; and organizations related to all the segments of this industry’s value chain. 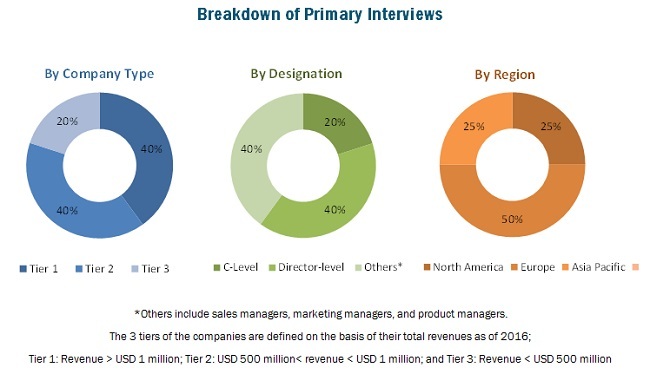 In-depth interviews were conducted with various primary respondents, such as key industry participants, subject matter experts, C-level executives of key market players, and industry consultants, to obtain and verify critical qualitative and quantitative information as well as to assess future prospects. The following figure depicts the market research methodology applied in drafting this report on the cheese powder market. Key participants in the cheese powder market are the cheese powder manufacturers, suppliers, and regulatory bodies. The key players that are profiled in the report include Land O’Lakes, Inc. (US), Kraft Foods Group, Inc. (US), Lactosan A/S (Denmark), Kerry Group plc (Ireland), DairiConcept (US), Archer Daniel Midland (US), Aarkay Food Products (India), All American Foods (US), Commercial Creamery Company (US), and Kanegrade Limited (UK). Cheese powder is dried/dehydrated cheese in powdered form which has numerous applications in the manufacturing of food products such as sweet and savory snacks, sauces, dressings, dips, and ready-to-eat meals. They enhance the aesthetic appeal and organoleptic properties to products, such as texture and taste. The most widely used cheese powders in the market are cheddar, mozzarella, parmesan, American cheese, and blue cheese. The global cheese powder market is projected to reach USD 604.1 million by 2022, at a CAGR of 6.82% from 2016 to 2022. The demand for cheese powder is expected to grow, owing to the growth of the fast food industry, globally. The changing dietary preferences of people have led to a significant rise in the consumption of convenience and fast food worldwide, which, in turn, is projected to increase the demand for cheese powder. The US Government has stringent policies for the labeling of packages containing cheese products. While packaging cheese products, the label must contain the accurate process through which the cheese has been processed and manufactured, such as ‘pasteurized’, ‘processed’, or ‘blended’. It is also necessary that any cheese made from vegetables/ fruits/ meat should be labeled by these items. The regulation states that there should also be a standard font size on the labels, making it easily readable to the consumers. Adhering to various labeling regulations may increase the cost of packaging and labeling, which, in turn, affects the price of the final products. This can lead to low acceptance by consumers, which poses as a challenge for the cheese powder market. The demand for cheese powder is high in the region, owing to the rising consumption of fast food among people. Kraft Foods Group, Inc. (US) is one of the major producers of cheese powder in the US, and supplies cheese powder to the food manufacturing industry. In 2016, Europe and North America are collectively estimated to account for more than 70% of the global cheese powder production. Countries such as the US and those in the European Union are the largest cheese powder exporters in the world. Cheese powder is used to manage the rheology of ingredients during the baking process, and also adds flavors to bakery products such as savory biscuits, and breads. In confectionery, cheese powder is usually used to enhance the organoleptic qualities of food products by providing a cheesy flavor and texture. The highest demand for confectionery comes from developed regions such as North America. Due to an increase in urbanization and changes in food habits of consumers, the demand for bakery and confectionery items with cheese flavors is rising in developing countries such as India, Brazil, and South Africa. Cheese powder is widely used in sweet and savory snacks to induce the cheesy flavor, and to provide a richer mouthfeel. Cheese powder is used in snacks such as popcorn, chips, nachos, and puffed snacks. Some of the popular brands of snacks that use cheese flavors include Cheetos and Doritos. Cheese powder offers better functionality and taste over other flavors, and better convenience for use in a range of snack products. Rising preference for convenience and fast foods, along with the rising consumption of snacks worldwide, is driving the demand for cheese powder in various snacks. Cheese powder imparts an enhanced cheese flavor to sauces, dressings, dips, and condiments. This can be done with the use of a single cheese flavor or a mix of many cheese flavors. The use of cheese powder also offers better taste, convenience, and functionality in recipes where high-temperature cooking is required. With the rapidly rising demand for fast foods in Asia Pacific, the demand for cheese powder in sauces, dressings, dips, and condiments is likely to grow at the highest rate, in this region in the future. Cheese powder is used in ready meals to add a specific cheese flavor to a meal or to enhance its existing flavor. With the growingly busy lifestyles of consumers, the popularity of ready meals is rising in developed countries such as the US, Germany, the UK, and others. This has boosted the demand for cheese powder in ready meals across regions. Other cheese powder applications include processed meat and egg products, creams and desserts, and side dishes. Cheese powder is used as seasoning or as an ingredient in a range of food products. Due to innovative product offerings from cheese powder manufacturers, its applicability is increasing and is likely to cover a broader range of products in the future. With parmesan cheese powder expected to gain more traction, how will this affect the food industry in the next five years? Most of the suppliers have opted for expansion and mergers & acquisition as key strategies, as could be seen from the recent developments. Where will it take the industry in the mid to long term? What are the upcoming substitutes and trends that will have a significant impact on the market in the future? The cheese powder market was valued at USD 406.6 million in 2016 and is projected to grow at a CAGR of 6.82%, to reach USD 604.1 million by 2022. Cheese powder has witnessed significant demand in recent years due to the increase in the size of the convenience & fast food industry and focus of cheese powder manufacturers on developing innovative offerings. The growth rate in the fast food industry is experiencing a surge due to the changing lifestyles of individuals around the globe. However, increasing awareness pertaining to the adverse effects of cheese on the health of consumers, such as obesity, high cholesterol levels, and heart problems are posing significant challenges in the market. Based on type, the market is segmented as cheddar, mozzarella, parmesan, American cheese, blue cheese, and other cheese types. The consumers are increasingly demanding fresh and authentic flavors, natural ingredients, and prefer spending on high-quality soups, sauces, and dressings for better taste, texture, and appearance. This has led to an increased demand for parmesan cheese powder in soups, sauces, and dressings industry due to its authentic taste. The shift toward a healthy lifestyle among consumers has resulted in increased consumption of salads, which use dressings and coatings. Due to these factors, the demand for parmesan cheese powder is projected to increase during the forecast period. Based on application, cheese powder is segmented as bakery & confectionery, sweet & savory snacks, sauces, dressing, dips and condiments, ready meals, and other foods. The sauces, dressings, dips, and condiments segment is estimated to be the largest market share in 2016. Sauces produced by using cheese powder are widely consumed with pasta, vegetables, pizza, and casseroles. With the increasing consumption for fast food in Asia Pacific, the demand for cheese powder in sauces, dressings, dips, and condiments is projected to grow at the highest rate in this region over the coming years. 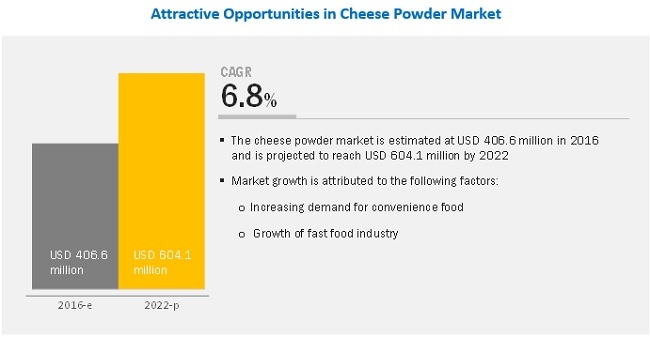 The Asia Pacific region is projected to witness the fastest growth in the global cheese powder market. The expansion of the middle-class population, the rapid growth of the fast food industry, increase in the disposable income, rapid urbanization, and change in the dietary preferences of consumers in major markets, such as China, India, and Australia have led to an increased demand for cheese powder in the region. India and Australia are the largest producers of milk in the region and the socio-economic conditions of these countries offer lucrative growth opportunities to cheese powder manufacturers. Key players in the market are focusing on establishing their position in developing regions and strengthening their distribution networks through strategies such as mergers & acquisitions, partnerships, joint ventures, and collaborations. Labeling regulations are one of the major challenges faced by the cheese market. The demand for accurate labeling, listing the names of all the ingredients in the product and specifying the details of the ingredients and their nutrient content is increasing due to the growing health concerns among consumers. The US government has imposed stringent policies for labeling packages that contain cheese products. While packaging cheese products, the label must contain details of the accurate process, through which the cheese has been processed and manufactured, such as ‘pasteurized,’ ‘processed,’ and ‘blended.’ Adhering to these labeling regulations can increase the cost of packaging and labeling, which in turn, affects the price of the final products. This discourages the customers to purchase these products, due to which they prefer opting for alternative options. 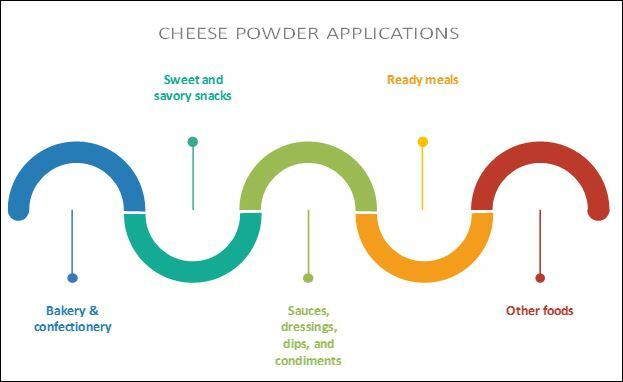 These factors pose a significant challenge to the growth of the powdered cheese market. Key players such as include Land O’Lakes, Inc. (US), Kraft Foods Group, Inc. (US), Kerry Group plc (Ireland), DairiConcept (US), and Archer Daniel Midland (US) have a strong presence in the Americas, followed by the Asia-Pacific region. These companies are focusing on strategizing their growth plans to expand their operations in the cheese powder market. 12.6 Aarkay Food Products Ltd.
13.2 The Food and Drug Administration (FDA) in the U.S.
13.7 The European Union is Characterized By Strict Regulations for Novel and Genetically Modified Food. .